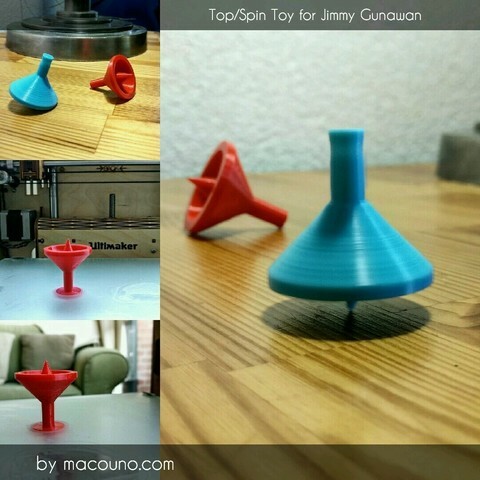 This spin toy was suggested by Jimmy Gunawan via Facebook. 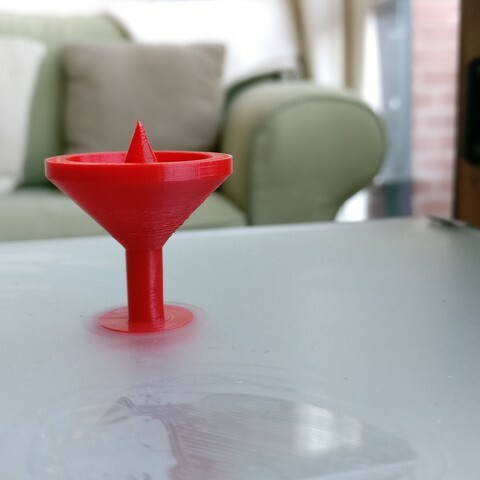 Print the Top upside down and with a brim if you can. 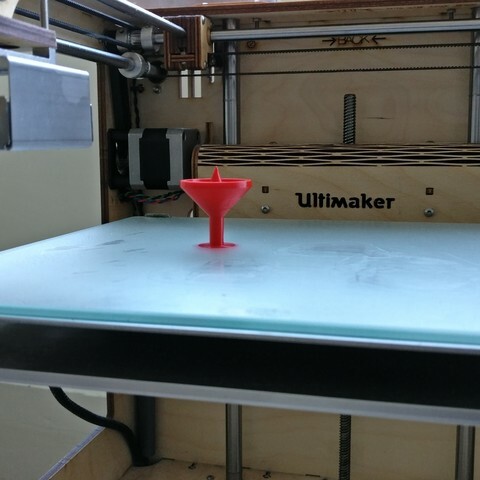 The angles should be such that it comes out nice without support. 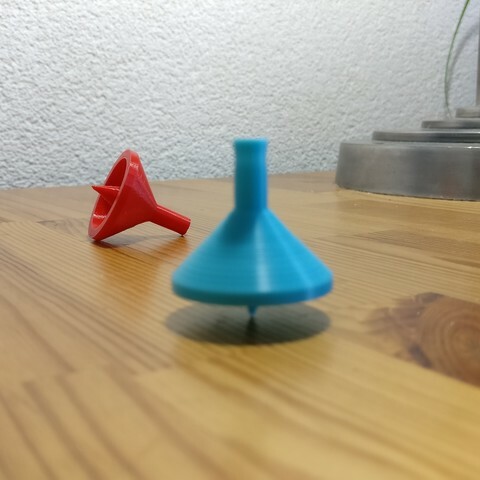 See if you can make the tip really precise because this will define how nice it spins! 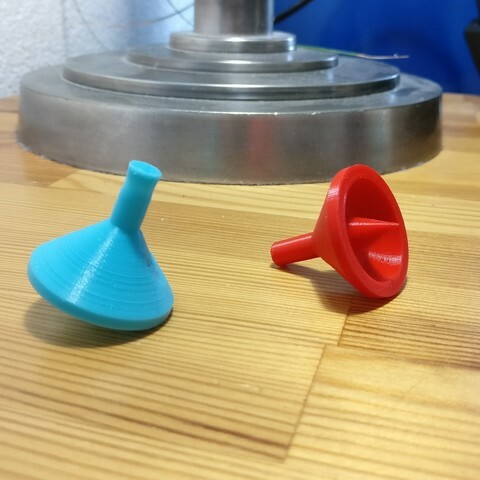 Print upside down without support but a brim if you can.